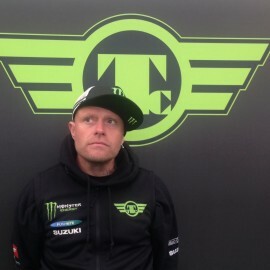 Team Traction Control (TTC) is a new and unique race team founded by Keith Flint. The team will be competing in the 2014 Motorpoint British Supersport Championship and the key 2014 Road Races which includes the World Famous Isle of Man TT. Having been around Motorbike Racing for many years as a fan and a competitor himself, Keith wanted to make the step-up from his own championship winning amateur team, to a fully backed professional race team. The plan was set at the end of 2013 – to launch a new team built on solid foundations with the emphasis on ensuring the right team is in place to deliver a successful team for not only themselves, but importantly for the fans of racing too. This mindset, coupled with a focus on allowing the fans of the sport to get closer than ever through the season to a race team is all part of Keiths DNA – 23 years with one of largest bands on the planet, putting on some of the greatest music shows to have been witnessed cannot be underestimated. Clearly TTC could not be just another race team, from its incredible stealth camo inspired bikes, through to the focus on the detail and marginal gains off the bike, TTC has a clear objective: Win Races – Battle in the Races – Lead by Example in all that we do. Starting from scratch to delivering a team in 8 months is no easy project, but after recruiting some of the best in the business and many hours burned we’re proud to say that we’ve done it, the season is here and the dream has become very real. 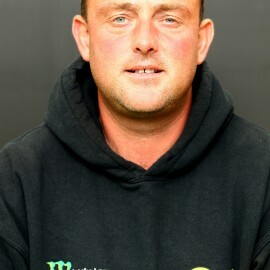 Winner of the 2012 Clubman Championship himself, Prodigy frontman and motorcycle enthusiast, Keith needs no introduction. TTC has been his dream realised! Obviously i am bias and i’ve can’t get enough of our TTC Bikes, plus i gotta say that as the workshop is full of race bikes. Without doubt the old two-stroke 500’s. James has been racing motorcycles since the age of six. He started flattrack racing in New Hampshire on a Suzuki JR 50. He raced local flattrack races throughout New England and New York coming up the amateur ranks. James went to his first AMA Amateur Flattrack Grand Championships when he was nine years old and won the Amateur Grand Championship in the modified 60cc class in his first year. With the help of his parents and several early sponsors he continued to climb the amateur ranks winning AMA Amateur Grand Championships in the 80cc, 250cc, 450cc and 505cc classes. James achieved dozens of AMA amateur national flattrack titles along the way. In 2008 James received his AMA Pro Flattrack license and AMA Pro Road Racing license. He raced the AMA Pro MotoST Endurance series and is credited as the youngest rider at age 16 to win at the Daytona International Speedway. James continued his AMA Pro Flattrack career achieving second place overall in the AMA Pro Singles series also winning at the Daytona Short Track. James continued to hone his road racing skills and find additional sponsorship, in 2011 with the help of the National Guard and Jason Pridmore’s Star School James won the AMA Pro SuperSport East Championship as well as the overall National #1 plate and young gun award. Not yet satisfied with his skill set, James challenged the AMA Pro SuperSport West Championship in 2012 on the Celtic/Orient Express Racing team with support from Michael Jordan Motorsports and became the first two time AMA Pro SuperSport National Champion and the only racer to win both the East and West Coast Championships back to back. Along with James two AMA Pro SuperSport National Championships he holds two AMA Bonneville Salt Flat Land Speed Records in the 650 and 750 twin categories. In 2013 James has moved up to AMA Pro SportBike Class, was tied for rookie of the year going into the last race of the season and had his first DNF due to a mechanical, the first in 3 seasons. James rode for Michael Jordan Motorsports and the National Guard/Celtic Racing Team. 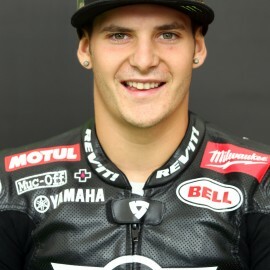 In 2013, James also competed as a wild card entry in the MotoGP world championship in the Moto2 division for team GP Tech using a Tech3 supported Moto2 bike. James was the only American wild card rider in 2013. For 2014, James will be riding in the prestigious British Superbike Series in the top 600 Supersport class and will have support of personal sponsor Monster Energy as will the team. He will be riding a 2014 Suzuki GSX-R600 similar to the motorcycles he won (2) back to back AMA Pro National Supersport titles in 2011 and 2012 in America. Winning back to back championships. To be consistent, get points in every race and be a podium runner. I do all the bits that Paul can’t do as well as ensure the smooth operation of team, to get the best from my riders and the bikes. 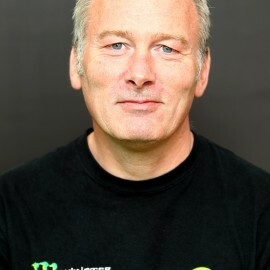 Simon Green has been involved with motorcycle racing for over 23 years. 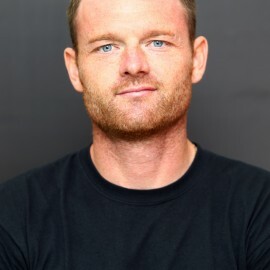 Starting as a rider at club level whilst working for a motorcycle shop as a mechanic, Simon rapidly progressed to full time race technician, soon moving to a factory WSBK team. 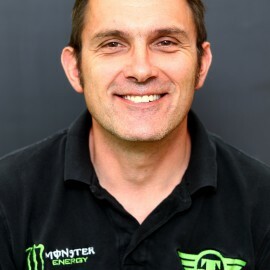 Crew Chief duties followed and for the last 10 years Simon has worked in the top BSB teams, taking 3 British titles. This season Simon will be ensuring James is running at the front of the pack with the very best equipment. Provide James with the very best competitive package available at the time. Keep riders happy + fast. Preparing the bikes for each session, as well as the crucial task of making sure we have the tyres for anything the weekend throws at us. The buzz as the bikes go off at the start of the race.